x0xlarge is a CPU upgrade for the x0xb0x made by Lars Öhgren (aka xlarge) based on collaborative community input. The main reason it was developed is because the original cpu has very little room for enhancements. With up to 16x bigger flash memory to store the firmware, the x0xlarge is a future-proof replacement of the original atmega 162. 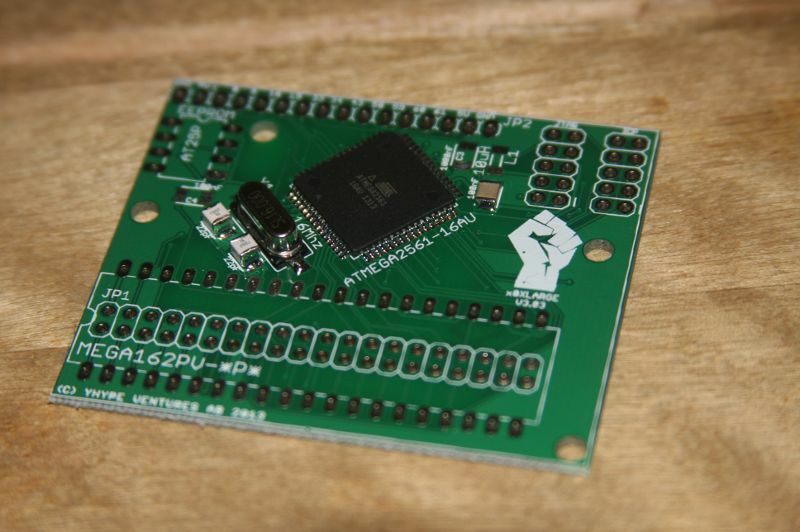 Read about an alternative firmware firmware for this cpu board in n0nx0x. UPDATE 2016: We are now the official distributor of x0xlarge cpu boards! Get yours here!